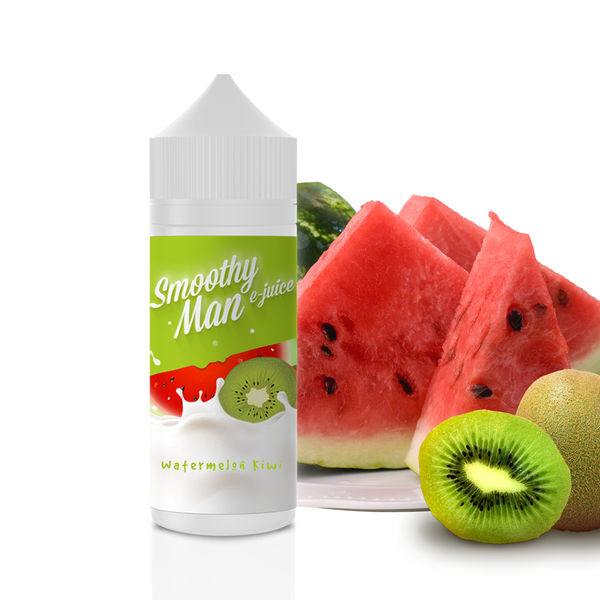 Smoothy Man Watermelon Kiwi e-juice is a mix of juicy watermelon and tangy kiwi slices. If you like fruity flavors, you definitely have to try this offer. Sweet and savory. 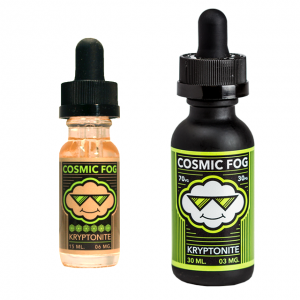 Smoothy Man Watermelon Kiwi e-juice is a mix of juicy watermelon and tangy kiwi slices. If you like fruity flavors, you definitely have to try this offer. Sweet and savory. A 70/30 VG/PG ratio that is common for many e-juices, allows producing large clouds of vapor. More clouds, more fun. What concerns the nicotine strength, Watermelon Kiwi is available in 0mg, 3mg, and 6mg. It is your choice which one to get. All in all, Watermelon Kiwi e-juice by Smoothy Man creates an ultimate smooth vaping experience. It comes in a bottle containing 60ml. 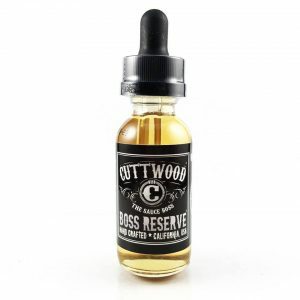 Be sure to get this sweet fruity treat right now!